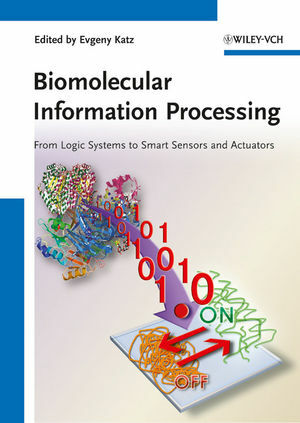 Edited by a renowned and much cited chemist, this book covers the whole span of molecular computers that are based on biomolecules. The contributions by all the major scientists in the field provide an excellent overview of the latest developments in this rapidly expanding area. A must-have for all researchers working on this very hot topic. 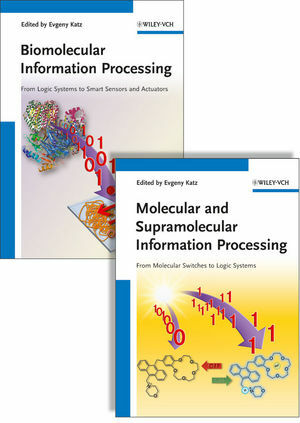 Perfectly complements Molecular and Supramolecular Information Processing, also by Prof. Katz, and available as a two-volume set. Evgeny Katz received his Ph.D. in Chemistry from the Frumkin Institute of Electrochemistry (Moscow) in 1983. He was a senior researcher at the Institute of Photosynthesis (Pushchino), Russian Academy of Sciences (1983-1991), a Humboldt fellow at the Technische Universität München (Germany) (1992-1993), and a research associate professor at the Hebrew University of Jerusalem (1993-2006). Since 2006 he is Milton Kerker Chaired Professor at the Department of Chemistry and Biomolecular Science, Clarkson University, NY (USA). He has (co)authored over 360 papers in the areas of biocomputing, bioelectronics, biosensors and biofuel cells. Thomson Reuters included him in the list of the world?s top 100 chemists over the past 10 years as ranked by the impact of their published research. Professor Katz was also included in the list of top cited chemists prepared by the Royal Society of Chemistry with the worldwide rank 378 based on his Hirsch-index, which is currently 71.